This is the second of two episodes this month. In this It Happened Here episode we’ll be taking you further back than our normal 75 years, this time to September 1938. Twenty years after The Great War, the clouds of conflict were once again looming across Europe. Hitler threatened Czechoslovakia and British Prime Minister Neville Chamberlain flew to Germany to try to avert war. At the same time in Buckinghamshire, at an unassuming, recently purchased country house, activity was stepping up. 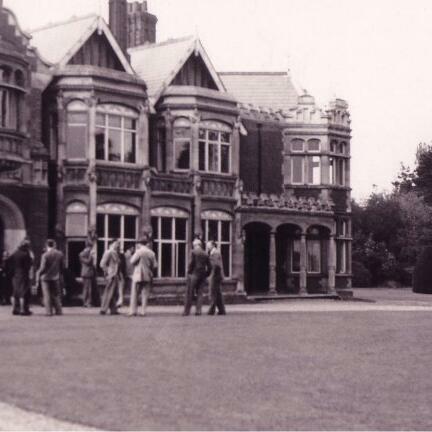 On the 18th of September, a group known today as Captain Ridley’s Shooting Party arrived at Bletchley Park. The cover story concealed their true purpose - a dress rehearsal for war. The 150-strong shooting party were staff from the Government Code and Cypher School and the Secret Intelligence Service, testing out a move to their War Station. Our Research Historian Dr David Kenyon delves into this part of our story to reveal recently discovered facts about the origins of codebreaking at Bletchley Park.